Software Pursuits, Inc. (SPI) has been designing and delivering innovative software solutions for enterprise information systems since 1975. Its founders started with a passion for making complex computing tasks simple by creating software solutions that are flexible, easy-to-use, and reliable. The SureSync Data Protection & Availability Suite is an essential software package. SureSync provides file replication and synchronisation between Windows Servers, NAS, SAN, PC’s and laptops. SureSync can be utilised for file distributions, global file sharing, and disaster recovery & availability. 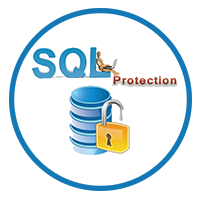 SQL Protection provides powerful SQL database backups. Endpoint enables synchronisation with your mobile workforce. We invite you to explore this powerful, feature rich software suite further. SureSync Pro provides real-time replication & synchronisation with many advanced features such as bit level processing and FIPS Certified encryption. The Pro bundle is our most popular offering within the SureSync Suite. Get started, learn more SureSync Pro and start your free 30-day trial. Your workforce is remote and mobile. This also means that critical company data is remote and mobile. SureSync Endpoint allows you to replicate and synchronise files with your remote users, regardless of where they are! Download a 30-day trial and revolutionise how you manage data on your remote Endpoints! SureSync’s SQL Protection provides an affordable, automated solution for protecting critical Microsoft SQL databases and the valuable information they hold. You can employ SQL Protection to copy SQL backups to a server accessible via UNC path, IP address or DNS name. Streamline your SQL backups today! Open Seas (UK) Ltd has been providing local sales and support services our SureSync customers in the UK and Europe since 2000. This site is owned and managed by Open Seas (UK) Ltd with SureSync content recreated with the express authorisation of Software Pursuits Inc. Open Seas are an official Software Pursuits Reseller partner for the UK and Ireland.